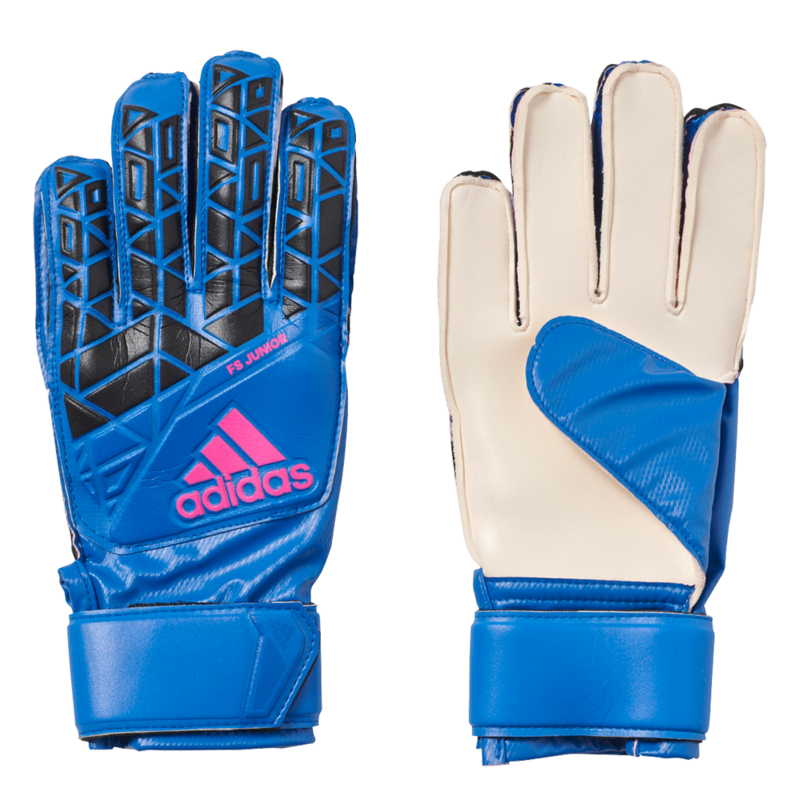 Adidas FS junior with easy wrist entry. Adidas glove with good grip and durability. 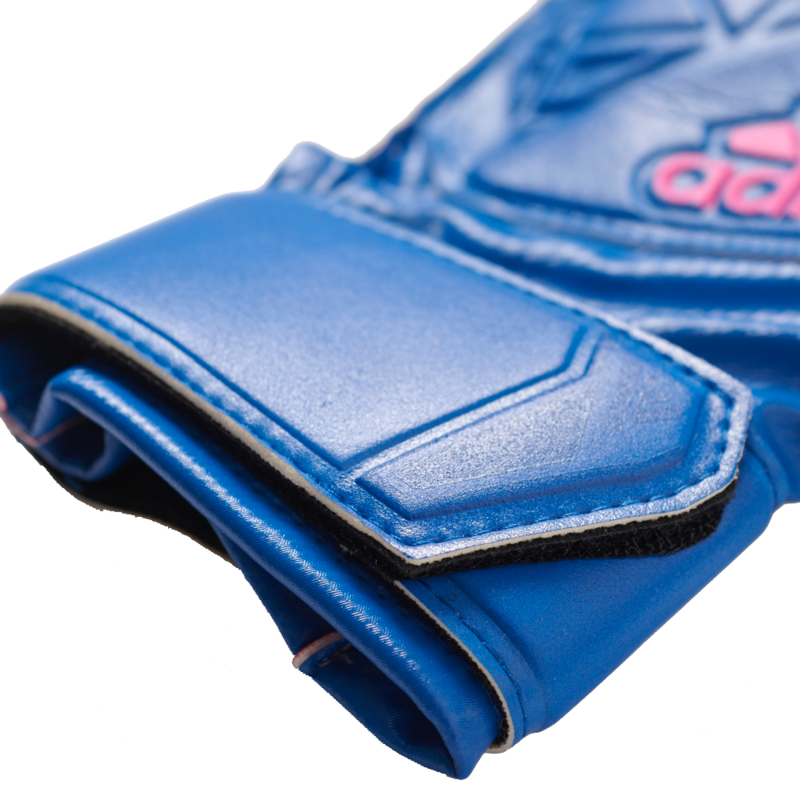 The Adidas Ace Fingersave Junior helps protect youth goalkeepers from finger injuries. Easy entry wrist closure. Fingersave finger spines stiffen and resist pressure when it is applied during a hard shots and diving. 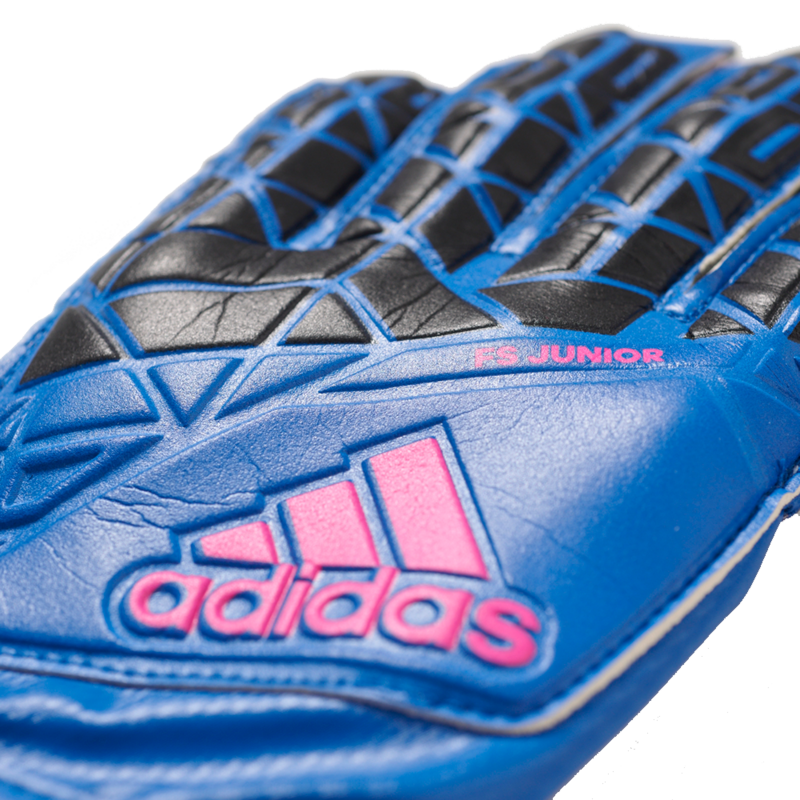 The Adidas Ace FS junior finger protection helps youth goalkeeper catch the ball while protecting the fingers. 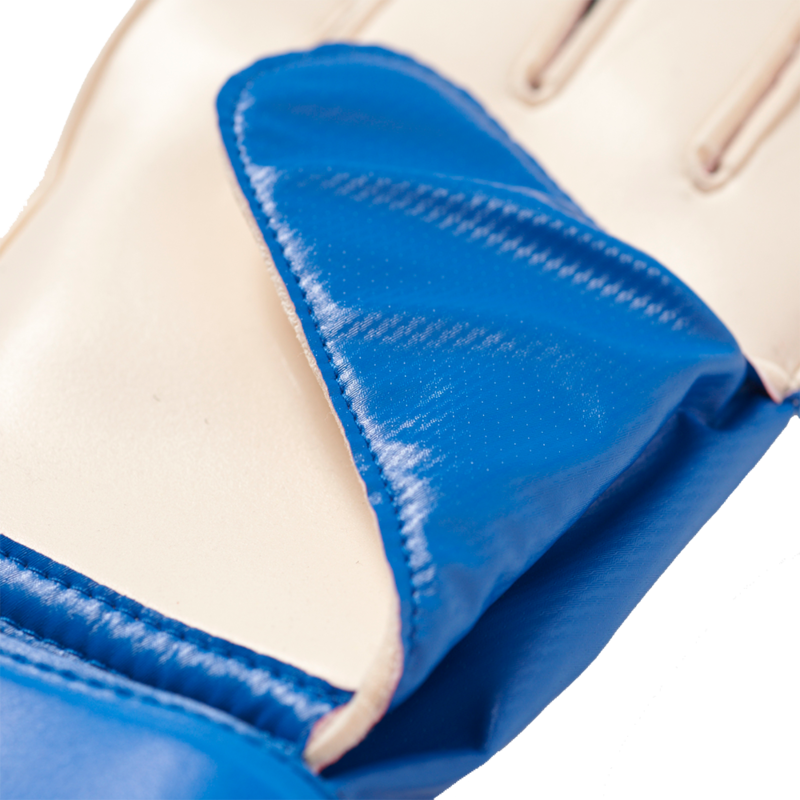 Latex backhand makes the glove more flexible and comfortable than other inexpensive junior goalkeeper glove options. The web design area may act as a punching zone. New blue, black, white, and shock color way. Vented v-notch cuff for easy entry. Full-wrap wrist with Velcro fasteners. Easy entry is a great for new goalkeepers to take the glove on and off quick without much work. All weather glove but best in dry conditions. adidas sizes 4, 5, 6, and 7. Fits true to size. 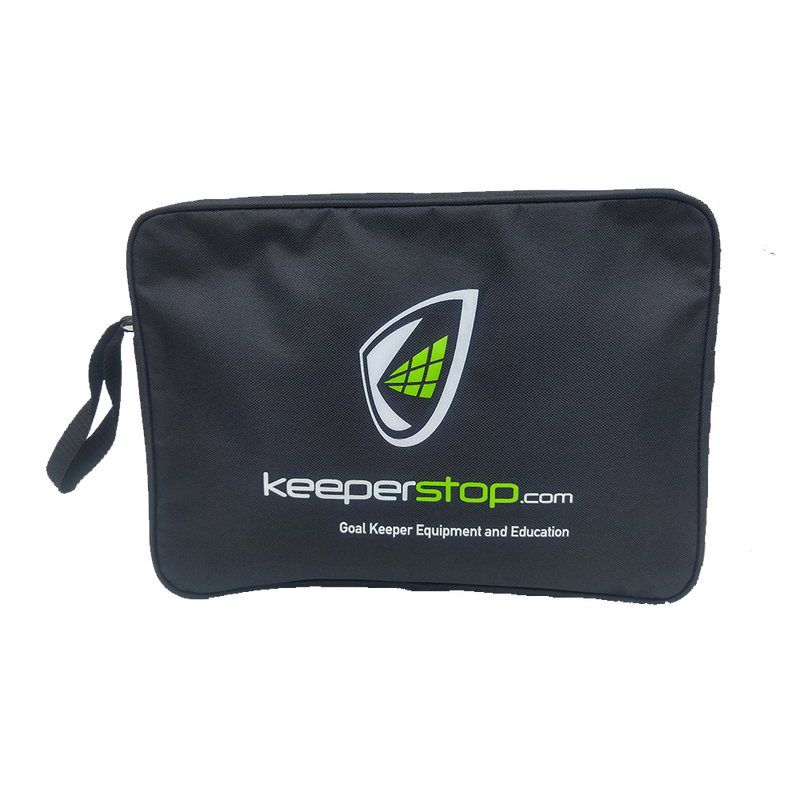 Call keeperstop.com with any adidas goalkeeper equipment question.